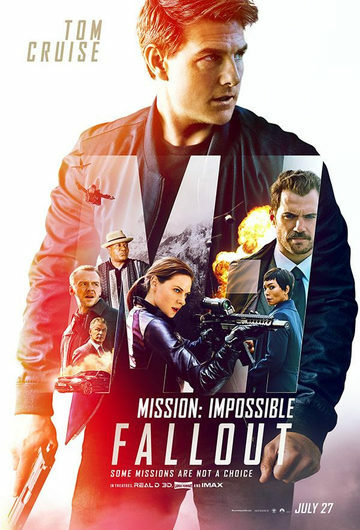 The film begins with Hunt (Cruise) and his Impossible Mission Force (IMF) attempting to retrieve three pieces of hardware needed to outfit nuclear bombs. However, when one of his force-mate’s life is put in jeopardy, Ethan chooses them over the success of the mission and the hardware is absconded with. Cue the music! Not only the best of the “Mission: Impossible” films, “FALLOUT” is also one of the best films of the year. After an introductory scene that would have made the opening moments of most James Bond films seem tame, Hunt and company are soon introduced to CIA Agent August Walker (Cavill, out of his Superman uniform but just as bad-assed), a no-nonsense kind of guy who certainly would have let a member of his team die and not give it a second thought. There are so many twists and turns here that to go into too much detail about the rest of the film would give away some nice plot points. Suffice it to say that Cruise easily covers a few miles by way of his fleet feet. Run, Ethan, run. Just comment below what television program you’d like to see turned into a feature film. Pretty simple. One random entry will be chosen and that entrant will win the prize package, consisting of a t-shirt, charger, water bottle and poster. The winner will be chosen at noon (CST) on Friday, July 27 and will be notified by email. Good luck! “Mission: Impossible – FALLOUT” opens nationally on Friday, July 27. The film will be screened at the AMC Barrywoods 24 Theatre in Kansas City on Monday, July 23 and will begin at 7:00. All you have to do is click HERE. The first (25) readers to do so will receive a pass for (2) to attend the screening. This is a first come/first serve giveaway. Once the allotted (25) passes have been claimed, the giveaway is over. Good luck! If you haven’t heard yet, Tom Cruise hangs off the side of a plane for his latest movie, “Mission: Impossible – Ghost Protocol”. The 53-year-old actor, who’s been known for doing his own stunts, figured the best way to hook you from scene one is to jump on to a plane and dangle for life as it climbs through the area. The kicker is that this is done without the use of special effects, just a good ol’ camera mount to capture his unterrified expression as he soars into the air. If the first five minutes of “Mission: Impossible – Rogue Nation” doesn’t hook you in, you apparently don’t like action movies. 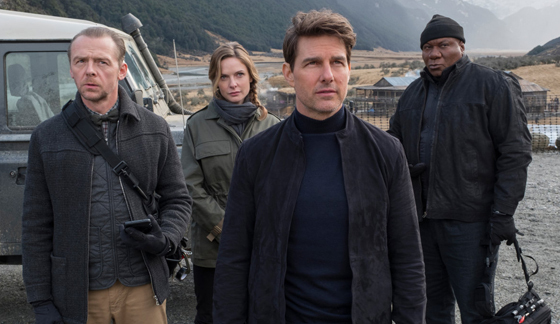 Cruise is reprising his role as Ethan Hunt, the mastermind, physically unlimited, and fatigueless spy operating with the Impossible Mission Force (IMF). Before his suspicions about a global terrorist network, called the Syndicate, can be confirmed, they reveal themselves to him and capture him. Using his mind, fighting prowess, and in general luck, he escapes from his unfamiliar and mysterious captors only to be a fugitive from his own country. While he was busy being beat up nearly tortured, the U.S. has disbanded the IMF and now is after Ethan for treason. That’s a lot of exposition in the first 10 minutes, but it’s handled quite well without overloading the viewer’s processing senses. A lot of the exposition in this movie is masterfully done, without too many lingering questions of whom, what, where, when and why. The finer details could be scrutinized, but the general plot is intricately laid out in a simplistic and fun fashion. As the story progresses, Ethan Is helped by various people to help him find out who heads up the syndicate. There’s Brendt (Renner), the inside man at the CIA, who lets Ethan know when the CIA is hot on his trail. Then there’s Benji (Simon Pegg), the computer geek who’s called into justify absurd gadgetry. Then there’s the mysterious double crossing former agent known as Ilsa (Ferguson). There’s other characters that crop up and add to the mix, but their sudden appearances are a joy upon watching. Just like previous installments in the “Mission: Impossible” movie series, there’s lots of twists, turns, fake face pulling off, neat gadgets, and all the other things that have actually been missing from all the latest Bond movies, which isn’t a bad thing. There are actually plenty of comparisons between both movie series, but the major difference right now is tone. While the Bond series seems to be aiming for a growing character study and keeping Bond emotionally resonant, “Mission: Impossible” seems to be going for what early Bond was like, exhilarating action and non-stop fun. For every moment you think “Mission: Impossible” is going to let up, it pushes harder on the throttle without giving you a moment to breathe. Small to big action sequences are done with precision; creating tension despite the fact we know that Ethan will be fine. Those moments of tension are created by characters constantly discussing the longevity of Ethan, who flirts with death and laughs at danger. Of course those might just be a hint at whomever will take over Ethan’s place when Cruise becomes too old. But right now, Tom Cruise is still an action star not to be messed with. In the Orlando, FL area? Want free advance tickets to an advance screening? Well then, click here and good luck because these are going to go very fast! Also do me a favor and if you get thinks send some thanks below!! Studios like that and will hook us up with more screenings! I love Uwe Boll’s films. I always have ever since “House of the Dead”. His films are definitely not for everyone, he has a specific group that he aims to please and definitely does it again with this latest installment in this series. I think that the first “In the Name of the King” was underrated. I thought the second film with Dolph Lundgren was actually better than the first. Dominic Purcell is great in this film and has worked with Uwe on numerous films in the last few years. If you like this series and looking for a fun no-brainer fantasy action flick, then check this out! If we can only convince someone to make him make another “Bloodrayne” movie! Official Premise: Looper meets Clash of the Titans in the next chapter of the video game-inspired non-stop fantasy action adventure where Hazen Kaine (Dominic Purcell), an American hitman, skeptically enters into what he hopes is his final contract with corrupt European crime lords. When Hazen realizes he’s been tasked with an impossible mission involving the countries royal family, the stakes change and his mission turns into an all-out fight for survival that takes him spiraling back to medieval times. Now completely out of his element, he must evade a vile medieval army and reclaim a stolen kingdom. Fox delivered this third and last film in the series with a Blu-ray combo pack including a Digital HD Ultraviolet copy as well. Even though the film was low-budget, film does pack some quality as does all Boll’s films. He is a resourceful guy and his films look like they are budgeted much higher than they look. The 1080p transfer is solid and works well with the visual effects. Same goes for the DTS-HD Master Audio 5.1 track, which is great for the action scenes. The only main downfall for me was in the special features, which only includes “The Making of In the Name of the King 3: The Last Mission”, which runs just under 15 minutes. Things are not going well on the other side of the world. In Budapest, a loyal American agent is shot dead during what was supposed to be a routine mission. At the same time, in Moscow, an elaborate prison break is being executed. The subject of the mission: one Ethan Hunt (Cruise). As he reaches the end of his escape route he yells to one of his rescuers, “Light the fuse!” Cue the music. It’s been five years since the last “Mission.” Since then, Ethan’s team has been re-staffed and they are wary of working with him. Many rumors circulated after the death of Hunt’s wife, among them that he went rogue and killed the people responsible for her death. But now he and his skills are needed. A shadowy figure calling himself COBALT is looking to launch a nuclear weapon. He has managed to obtain the equipment necessary and now just needs the launch codes. He has also managed to frame Hunt and company for bombing the Russian Kremlin. Of course, like the instructions say, the members of the IMF have been disavowed. They are on their own as they try to prevent what will surely become World War III. Many film fans balked when director Brad Bird was chosen to direct “M:I 4.” They needn’t have worried. With such classic animated films behind him like “The Iron Giant” and “The Incredibles,” Bird has only shifted his skills to now include real live people on screen. He fills the screen with wall to wall action, making sure there isn’t a dull moment to slow down the story. Shot all over the world, cinematographer Robert Elswit, who is the DP of choice for Paul Thomas Anderson and won an Oscar for his work on “There Will Be Blood” takes advantage of the different locales with almost breathtaking beauty. The production managed to secure the approval to film in and, most importantly, outside the Burj Khalifa in Dubai, which is the tallest building in the world. Setting their cameras at the very ledge of a 130th floor window, Bird and Elswit gives us a view we would never be able to achieve in our lives. The visual effects are spectacular, including a sand storm that begins in the desert and slowly envelops Dubai. I saw the film in IMAX and this is the perfect film for the format. This is Cruise and company’s greatest mission so far. New Poster Now Available For “Mission: Impossible – Ghost Protocol”. 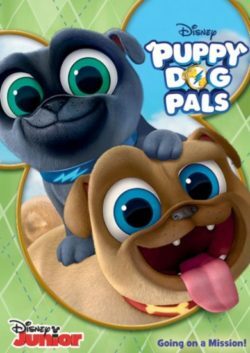 In theaters: December 21st, 2011. This is not just another mission. The IMF is shut down when it’s implicated in a global terrorist bombing plot. Ghost Protocol is initiated and Ethan Hunt and his rogue new team must go undercover to clear their organization’s name. No help, no contact, off the grid. You have never seen a mission grittier and more intense than this.